U.K. retailer Carphone Warehouse has taken an ax to the prices on some of its tablets, including the Asus built 32GB Google Nexus 7, the Samsung GALAXY Tab 2 7.0, and the third-generation Apple iPad. Earlier Wednesday, we told you that Radio Shack was chopping $20 off the price of the 32GB Google Nexus 7 to $229. The 32GB Google Nexus 7 is being sliced by Carphone Warehouse to £189 ($302 USD), £10 ($16) cheaper than the price at most retailers in the area. Another 7 inch Android tablet, the Samsung GALAXY Tab 2 7.0 is also the beneficiary of Carphone Warehouse's largesse as the Wi-Fi only, 8GB tablet goes on sale for £149 ($238 USD). That is a £50 ($80 USD) price cut. Lastly, with Apple having two new tablets for the holidays, Carphone Warehouse has cut the price of the third-generation Apple iPad by £40 ($64 USD) to £359 ($573.47 USD). 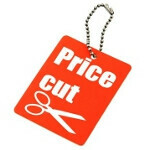 The retailer says the cuts are part of its plan to "offer the lowest prices on tablets on the high street." Thus far, of the three tablets, the Samsung GALAXY Tab 2 7.0 is the only one to show up on the carrier's website with its new price.